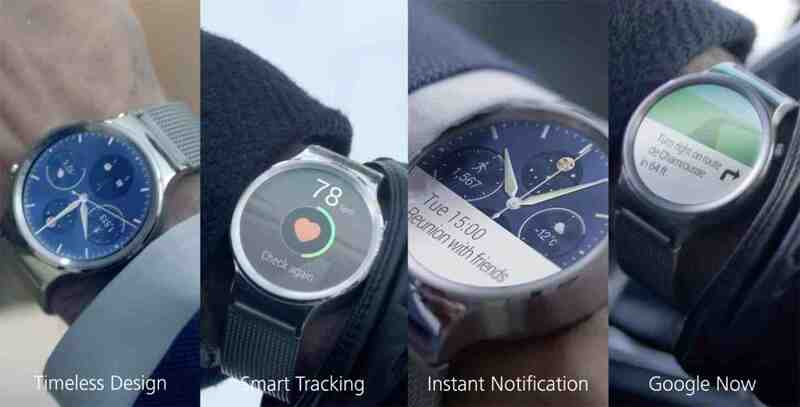 Huawei has announced its first Android Wear smartwatch at Mobile World Congress. The watch features a 42mm round face with a 286 ppi 1.4-inch AMOLED touchscreen, and will be sold in gold, silver and black with various designs for both men and women. It’ll also offer more than 40 customizable watch faces. Tech features include a heart rate monitor, 4GB of storage, 512MB of RAM, a 6-axis motion sensor and a a Qualcomm 1.2GHz processor. It will pair to any Android phone using Bluetooth L and will be available in over 20 countries across the globe. As part of a whole line of wearables announced by Huawei today, the new Android Wear watch, the Talkband N1 and Talkband B2 will connect to the Huawei health ecosystem to track and monitor your activity in one place. The watch is slated to arrive mid-June 2015 – just a few months after the Apple Watch is expected to ship. No word on pricing just yet.